MPR News Arts Reporter Marianne Combs joins Steve Seel and Jill Riley to talk about arts happenings that allow us to enjoy life as spring is beginning in Minnesota. These events are indoors, but you could gather afterwards on a patio or porch to have your own post-show discussion. 75 Gifts for 75 Years  Although the Walker Art Center curates works from around the world, it still acquires plenty of local art. As part of the ongoing exhibition celebrating the Walker's acquisitions, four Twin Cities artists who are in the show  Ruben Nusz, Chris Larson, Scott, Nedrelow and Harriet Bart  will be talking about their art this evening (Thursday, March 12). Shooting Kabul  The Steppingstone Theatre in St. Paul presents this play based on the children's book of the same name. Shooting Kabul tells the story of a young Afghan refugee whose family was torn apart while trying to flee the Taliban, and his struggles to make a new home in America. When a photography competition is announced with a prize of international travel, the boy sees a chance to return to Afghanistan and search for his sister. After Saturday's 3 p.m. production, there will be a post-show discussion about the play featuring playwright Kim Hines, book author Naheed Hasnat and Congressman Keith Ellison. 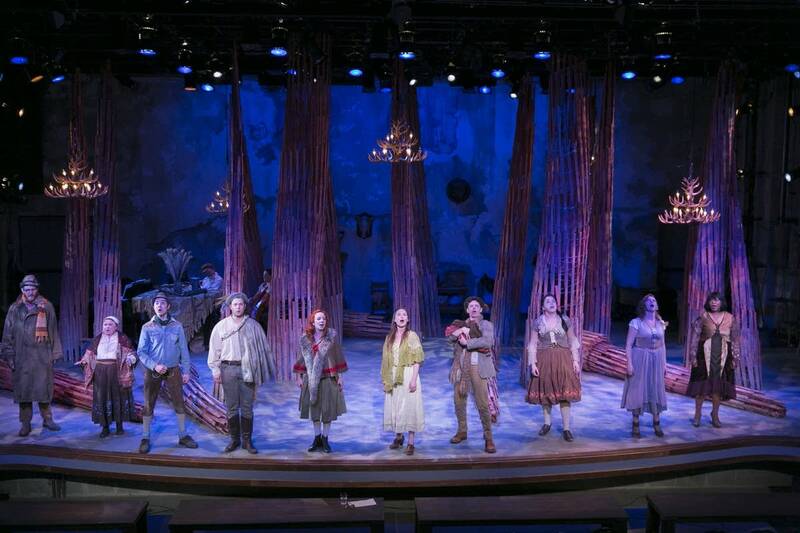 Into the Woods  Theater Latté Da, which specializes in musical theater, presents this work by Stephen Sondheim. Marianne is particularly excited about Greta Oglesby in the role of the Witch. "I've seen her work in the Twin Cities, and she's just amazing," Marianne says. "She's an amazing vocalist, she's an amazing performer, and I think she's going to bring a lot to it." Into the Woods runs through March 29 at the Ritz Theater in Minneapolis. Marianne Combs joins The Current's Morning Show for the Weekend Arts Roundup every Thursday at 8:30 a.m. Read all the latest arts news from MPR News. Into the Woods: Magic scenery and magic beans cast a spell on Sondheim at Theater Latte Da Theater Latte Da's production of Stephen Sondheim's 'Into the Woods' has a magic that no Hollywood special effects can touch, because it draws on your imagination. Director Peter Rothstein and four cast members spoke to Classical MPR's John Birge and performed some songs from the production.